This was an event I helped put together at the Connoisseur Kulture Glass Blowing Trade Show in Atlantic City, NJ this past Oct. Hot Breath Magazine was releasing their upcoming first issue and was sponsoring an after part on the second day of the trade show. 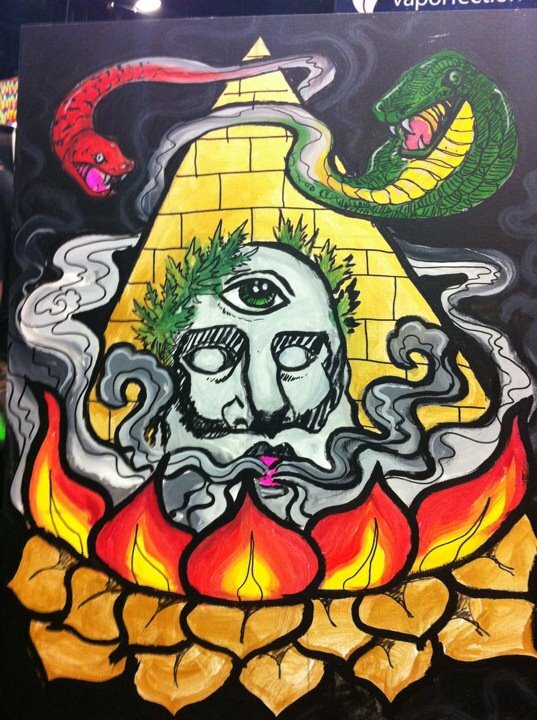 I helped my good friend Melissa Baer put together and art battle between myself and two other artists. The theme was Hot Breath. 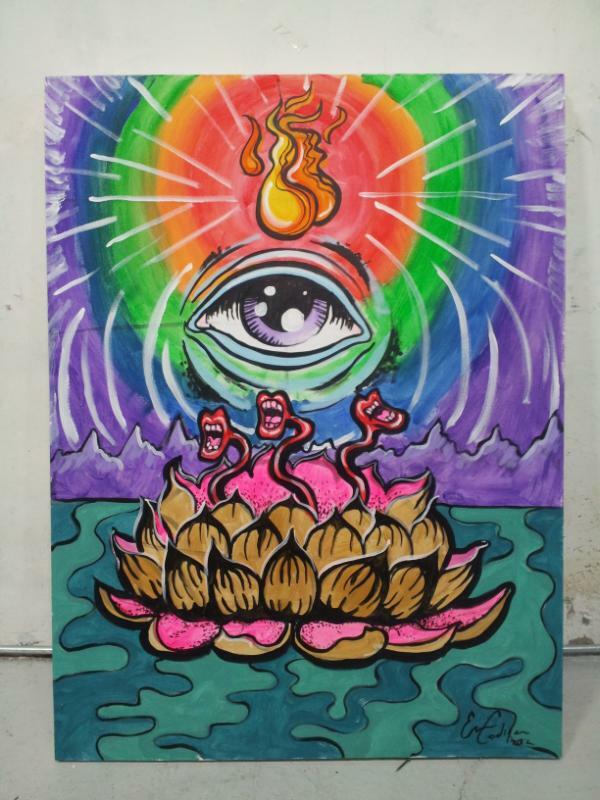 In January, I participated in my second Artbattles event. Thanks to all my fans, family and friends who voted me into the top four of the online competition. 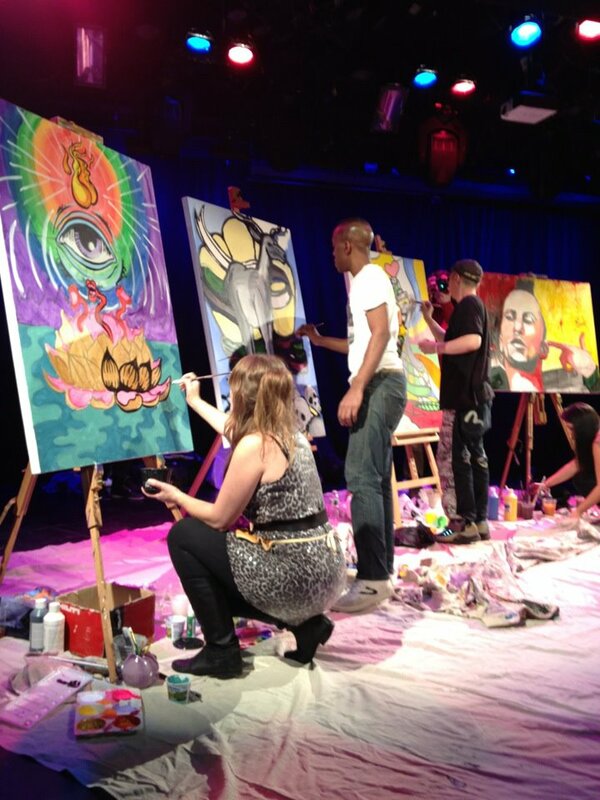 That night I battled long time NYC live art scene veterans Danielle Mastrion and Pesu as well as artist Kevin Raggot for a chance to compete in Poland. Good luck in Poland, Danielle! I know you will kill it! 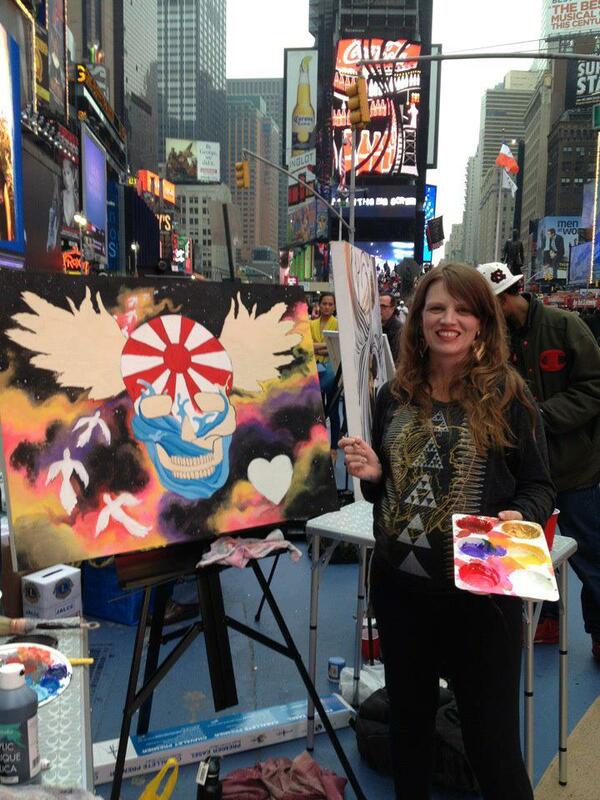 Recently I participated in a charity event live in the middle of Times Square NYC! 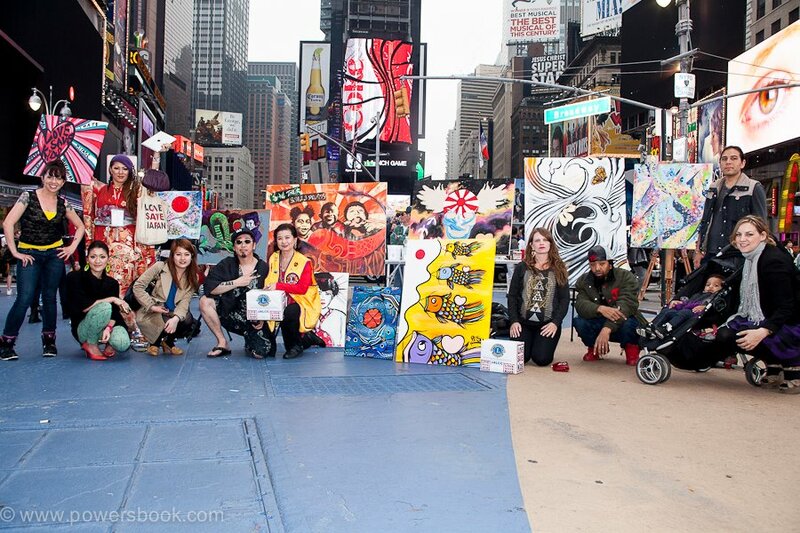 Put together by my friends and fellow artists, Pesu and Mariko Osanai to benefit Love Save Japan . All moneys made during the day from donations while we painted to sold paintings were sent to a childrens rescue in Japan through the Japanese American Lions Club. I only was able to be there half the day. I will be finishing my painting this Saturday June 2 at the Bushwick Five Points Festival. Money will be donated!